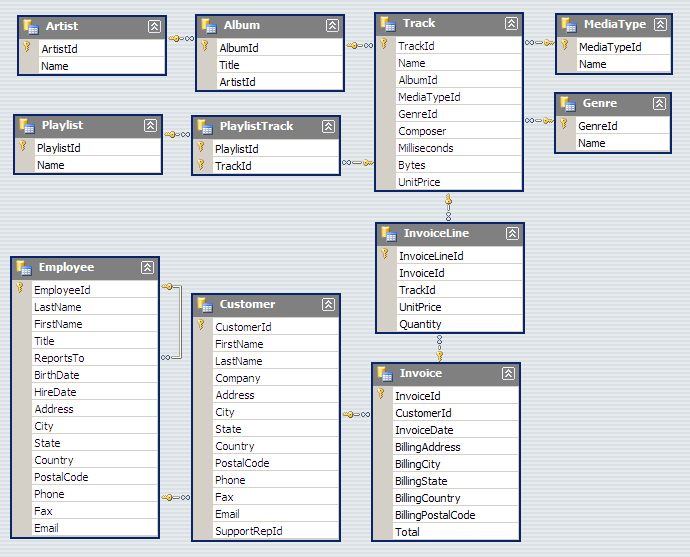 Have you ever needed or wanted a populated sample database with several related tables to play around with? Perhaps you are learning about databases and database design or perhaps you want to try out a new tool such as Xojo but want a pre-build database to start with. Head on over to the Chinook download page to grab the version for the DB you are using. Update (Jan 2019): Links now point to GitHub page rather than older Codeplex site.